(9.01) I can use the molar mass of a substance to convert from mass to moles and vice versa (from unit 5). (9.02) I can determine the concentration of a solution from the volume and number of moles (be able to find volume or moles if given the other variables). (9.03) I can calculate the concentration (or volume) of a diluted solution. (9.04) I can make a diluted solution based on calculations. (9.05) I can determine the percent yield from an experiment (from unit 8). (9.06) I can read and interpret information from a solubility curve. 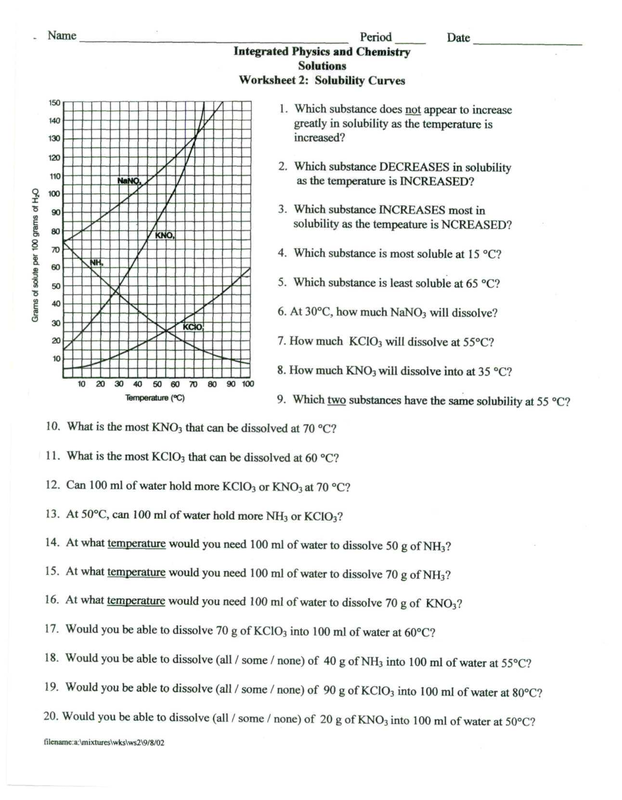 (9.07) I can construct and draw a solubility curve based on data collected from an experiment. (9.08) I can use a colorimeter to analyze the concentration of a stock and diluted solution.